Are you familiar with the lovely Zoe Bell? 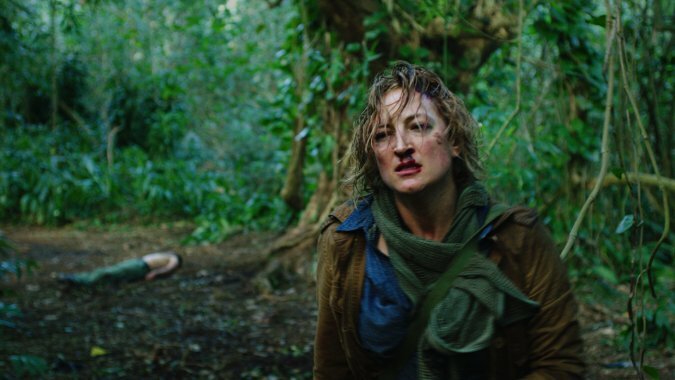 Zoe Bell is one of those Hollywood talents that you have been watching for years, but may not have known it. She is a highly regarded stunt actor who has been the stunt double for Lucy Lawless in Xena: Warrior Princess, she worked on Alias and, most famously, was the stunt double for Uma Thurman in the Kill Bill films. In fact, her work in Kill Bill was honored with a Taurus World Stunt Award. Tarantino would then go on to feature Ms. Bell in his half of the Grindhouse double feature. In Death Proof, Bell is the fearless female attached to the hood of the car that Kurt Russell mercilessly, and stupidly, pursues. In fact, a quick glance at her IMDb page will prove that you’ve been enjoying her work in some capacity for many years now. 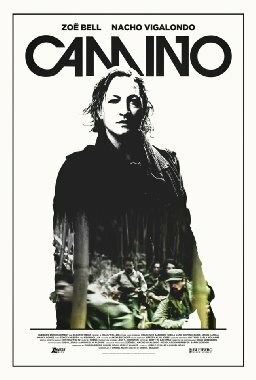 In Camino, director John C. Waller has really allowed Bell to show off her acting skills. There is a brief moment at the beginning of the film where we are reminded that this is a woman who is physically ready for anything that life may throw her way, but it’s more of a footnote. Her character is going to need to rely on her wit more than anything else and her physical capabilities are simply a bonus. Bell plays Avery, an award winning photo journalist who is unhappy in her personal life and reluctantly agrees to accompany a group of missionaries through the jungles of Columbia. Led by the charismatic Guillermo, this group has more than just altruistic motives and as the outsider, Avery finds herself in a predicament that turns into a fight for her life. Although most of the plot developments can be seen a mile away, Bell’s performance and the visual lushness of the film more than make up for it. Avery’s unhappiness and discomfort, not just with the current situation she’s in, but with her entire life, is palpable and it brings a unique feeling of urgency to her actions. At times, the film looks like a moving photo gallery. Couple this with a score that knows exactly when to punch up the tension and you’ve got yourself a nice chase film. The standout in all of this is Guillermo. Played by Nacho Vigalondo, he is the most magnificent of magnificent bastards. I’m a sucker for a good villain and Guillermo is a great one. He’s so gregarious and charming; even when he’s trying to kill you. Vigalondo is best known for his directorial work on Timecrimes, Open Windows, V/H/S Viral and The ABC’s of Death, but this performance has got me clamoring for more acting roles for him. At one point during the pursuit of Avery, a few of the missionaries are perplexed as to how she is still alive, but Guillermo simply says, “How can a man tame a wild dog? Intellect.” It is Avery’s intellect that keeps her on the road to survival and not her physical capabilities. This is not your typical final girl who magically acquires hand to hand combat training and the ability to fashion weapons out of chewing gum while being pursed by the baddie. This is a real world, fierce female who has moments of doubt, vulnerability and hopelessness. She really is every woman and it is such a breath of fresh air to see a character like this. Women get dropped into a man’s world on a daily basis and it’s a wonderful ride to see how Avery navigates her unfortunate circumstances.